Pet Sounds is, rightly, one of the most celebrated pop albums ever released. It has also been written about, pored over, and analyzed more than most other albums put together. 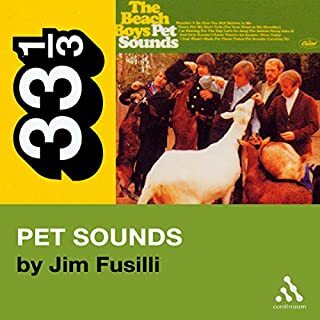 In this disarming book, Jim Fusilli focuses primarily on the emotional core of the album, on Brian Wilson's pitch-perfect cry of despair. In doing so, he brings to life the search for equilibrium and acceptance that still gives Pet Sounds its heart almost four decades after its release. Ignored by virtually everyone upon its release in November 1968, The Kinks Are the Village Green Preservation Society is now seen as one of the best British albums ever recorded. Here, Andy Miller traces the perilous circumstances surrounding its creation, and celebrates the timeless, perfectly crafted songs pieced together by a band who were on the verge of disintegration and who refused to follow fashion. Simon Critchley first encountered David Bowie in the early '70s, when the singer appeared on Britain's most-watched music show, Top of the Pops. His performance of "Starman" mesmerized Critchley: it was "so sexual, so knowing, so strange". Two days later Critchley's mum bought a copy of the single; she liked both the song and the performer's bright orange hair (she had previously been a hairdresser). The seed of a lifelong love affair was thus planted in the mind of her son, aged 12. His music thrilled the generation it was written for and has entertained and inspired every generation since. Hero: David Bowie is an exploration of the man behind the myths and the makeup told from the very beginning. Respected music journalist and biographer Lesley-Ann Jones knew David Jones from the days before fame, when he was a young musician starting out, frustrated by an industry that wouldn't give him a break and determined to succeed at whatever cost. Released when ELP and Elton John were plodding from one packed stadium to the next, Radio City was a radical album influenced by records that were already deemed oldies and yet sounding like a lean electrical jolt from the future. Here, Bruce Eaton examines the key ingredients of Radio City's lasting appeal- and through extensive interviews with all of those involved, gets to the heart of the cult of Big Star. Certain albums could only happen in a certain place and time, with the right people, melding influences, techniques, styles, and attitudes. 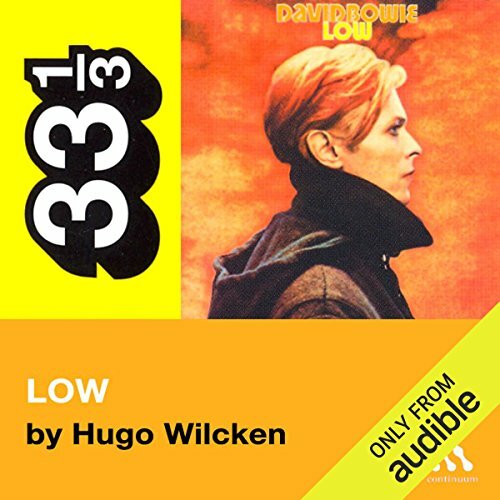 David Bowie's Low is such an album and Hugo Wilcken ties these elements together, contextualizing the album in a way that adds to the rich experience of the retro-futuristic music. Wilcken discusses Bowie's fleeing the drug excesses of LA to Berlin and the lively krautrock scene that was burgeoning there, his work with producer Tony Visconti and collaborator Brian Eno, and the sometimes revelatory and sometimes psychotic or paranoid states of mind that went into making the album. Accomplished voice actor Victor Bevine gives a cool and confident performance of the material, bringing clarity where even Bowie's memory contradicts and falters. Low is a kaleidoscope in which Bowie's obsessions and traits explode into fragments and reform in a new pattern. 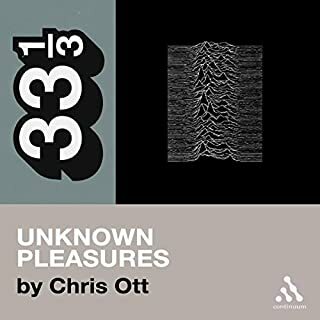 Sonically, it is hugely adventurous: combining a driving R&B rhythm section with the experimental soundscapes of Brian Eno, it evolves a whole new musical language. Thematically, it's the sound of a man struggling to get well. Bowie has often talked about his fear of insanity. Despite - or because of - this, he drugged himself into a state that looked very much like schizophrenia, and then recorded an album that structurally reflected the illness. Hugo Wilcken is Paris-based, Australian-born writer and translator. His first novel, The Execution, was published to critical acclaim by HarperCollins in 2002. His next, Colony, was published in 2006. 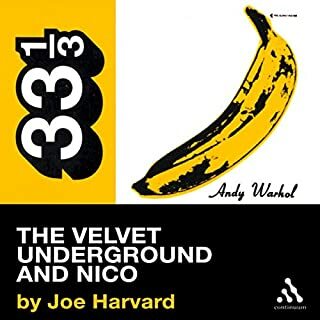 Rock on: listen to more of the 33 1/3 series. ©2005 Hugo Wilcken (P)2008 Audible, Inc.
Part of Bowie's wild Berlin Trilogy, Low is a great David Bowie album. It's the sonic experimentation equivalent to experiencing (second hand) schizophrenia, paranoia, moodiness, and lots of death and drugs. What's not to like? 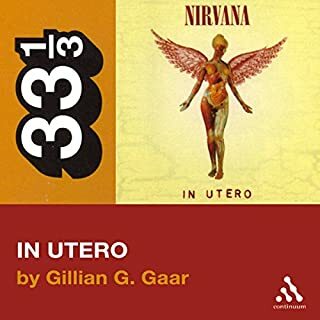 Info on Iggy Pop and Brian Eno are contained here, too, so if you are into them, check out this audiobook. 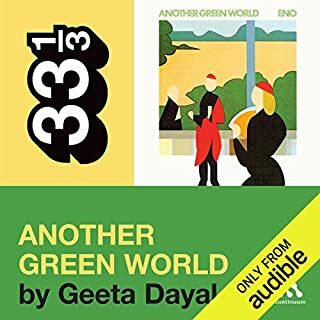 This is one of the most dense and meticulously-written of the 33 1/3 series that Audible carries. This book covers not only the making of "Low" but also contains a considerable amount of information on Iggy Pop's "The Idiot," as well as the Bowie albums that preceded and followed "Low," being "Station to Station" and "Heroes." The real value of the book is not so much analysis of the music of "Low" (actually I thought Wilcken was surprisingly bland and uninsightful when pedantically describing individual tracks on the album) but in the real-life stories about Bowie's days of excess in L.A. and the difficult period of transition during the making of his "Berlin Trilogy." Naturally, the book will also be of interest to followers of Brian Eno's serpentine career. A thoroughly enjoyable listen ... I don't believe any one "perfect" book about this important recording could be written, but Wilcken's is enjoyable, informative, and intelligent. If you could sum up David Bowie's Low (33 1/3 Series) in three words, what would they be? The little tidbits that I didn't know about, in spite of the many Bowie-related books I've read to this day. It's great to be able to listen to this book while walking as an exercise and Victor Bevine has an excellent voice. "quote" "end quote" "end listen"
What would have made David Bowie's Low (33 1/3 Series) better? 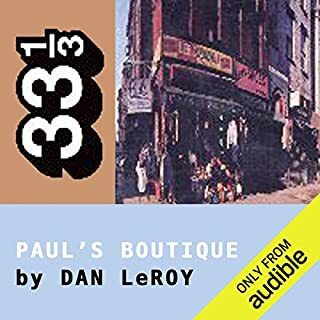 What other book might you compare David Bowie's Low (33 1/3 Series) to and why? I can't remember ever hearing anything similar. Don't keep telling me "quote" "end quote"
I wanted to hear the story but the narration was driving me nuts. "No," "I" "think" "I" "explained" "what" "I" "hate" "about" "this" "audiobook" "." I'm not a fan of this type of music (though I am a Bowie fan), Wilcken provided wonderful background, history and insight. And he is a marvelous writer. Made me appreciate an album I've always overlooked. The more you like the album the more you'll like the book. It gives a lot of interesting background as to what happened at the recording studio. It's made all the more interesting since Bowie was so hooked on drugs, it's not always clear what really happened. How many times can you say "Parenthesis" in 4 hrs? I did enjoy this book because the subject matter is a brilliant album with an interesting story behind it. But it should be noted that there does not seem to be any original research involved so the book is a patchwork of quotations from old interviews, something I found hugely disappointing. Its not that work of this nature has no merit at all, but obviously the author has no personal insight into the the context of the original quotes and in this case he doesn't seem to have anything new to add to critical analyses of the album either. It's not a badly written little book, but it feels like an over long magazine article at times, written to fill a hole in the 33&1/3 series rather than a classic piece of pop criticism. WORST OF ALL - when ever the reader has to read a quote, which in this case is every few minutes, he book marks it by saying "Parenthesis". Boy oh boy oh boy oh boy this gets tiresome quickly! It was a really bad production choice. Would you recommend David Bowie's Low (33 1/3 Series) to your friends? Why or why not? Only the ones who love David Bowie, Low and audio books. It's not likely to convert any one on the fence about any of those 3. What didn’t you like about Victor Bevine’s performance? The chronic over use of the word PARENTHESIS. Did David Bowie's Low (33 1/3 Series) inspire you to do anything? To listen to the album again. To visit the studio by the wall if I'm ever in Berlin (assuming it's still there). To finally get the Stooges and Iggy Pop albums Bowie produced. A good enough little book, but no classic. Low is one of those albums that divided you from normal music listeners and placed you at the edge of what was to come, the future was here and it was not easy or happy but it was beautiful and strange. I got my first copy of Low in Port Mcneill, Vancouver Island, Canada, for those of you who know it, it will be no surprise that this was like finding a wild amazonian flower growing out of Tokio’s pavement. Country music and straight rock was all you could openly listen to, the rest was was hippy music or queer music, my brother described it as spider music (no reference to Spiders from Mars just the feeling he got from it) I on the other hand could not get over this amazing album and have owned a copy of some kind ever since. For me the instrumental side and the musical electronics was what captivated me and influenced my taste for many years. So I could not resist this book, an erudite dissertation on Low, of a time, music, men and technology were creating new soundscapes out of the discordance of a world divided in so many ways, was just what I needed to cure my Bowie blues. I put my earphones on and began to explore, book in hand computer on, itunes library at the ready, internet at ready too, and I was prepared to have a fully interactive experience of one of my favorite albums; I know it sounds extreme but the reference are musical and most of the influences are musical so using the internet or your musical library is most recommended, it will add a dimension to the topics you will enjoy. Most of the discussion is about Low but a great deal of discussion of other artist and albums will make the preparation evident. Station to Station, The Man Who Fell To Earth, Iggy Pop, The Idiot, Philip Glass and many others. It is very a very good book with tons of musical information , some of it is opinions and extrapolations but that is life, even Bowie's views are that, because of the amount of drugs he was taking. The biographical information is rich and full pertinent disclosures, the background information on the sessions is detailed and extensively researched. overall a satisfying read that will enrich anyone's knowledge of the period. I have always loved Low, and as this period was such an important one in Bowies career, I thought it would be interesting to hear about the albums genesis. It was excellent throughout and the delivery was perfect. Definitely recommend.